Mexico hosted the 13th World Cup finals less than a year after being hit by a massive earthquake that left 30,000 dead. As in 1970, the players had to endure searing heat and thin air -- and midday kick-offs, thanks to television schedules. The match of the tournament took place in the quarter-finals, when Zico's Brazil faced Michel Platini-inspired France, who had already knocked out holders Italy, in Guadalajara. 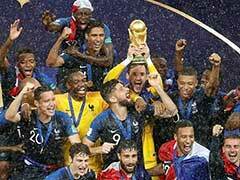 A flowing match finished 1-1 before France won the penalty shootout 4-3. Diego Maradona established himself as the star of the tournament. The Argentine's infamous 'Hand of God' goal, when he punched the ball into the net, and a spectacular solo effort put paid to England in the last eight and he produced more magic to see off Belgium in the semi-finals. When West Germany recovered from 2-0 down in the final, it was Maradona's first-time through pass which set up Argentina's winner. A real goal poacher who was inspirational in West Germany's surprisingly strong showing at the 1986 finals in Mexico. He was then sent off against Holland together with Frank Rijkaard for fighting, with the Dutchman spitting full in Voller's face as they trudged off the pitch. 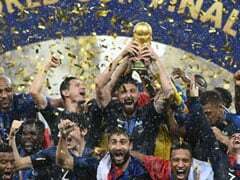 - Mexico became the first country to stage two Finals after the original hosts Colombia, financially bankrupt, withdrew their application. - Denmark, Iraq and Canada were making their debuts in the finals. - Eight venues were used for the 52-match programme. They were: Guadalajara, Puebla, Leon, Queretaro, Irapuato, Toluca, Monterrey and Mexico City. 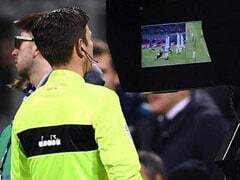 - The opening game between the holders Italy and Bulgaria ended 1-1. Alessandro Altobelli, scorer of Italy's last goal in the 1982 final, became the first player to score in this tournament. - Iraq were denied a goal in their first World Cup game, which they lost 1-0 to Paraguay, when the referee blew his whistle a split-second before Ahmed Rhadi's header crossed the line. - Ray Wilkins became the first England player to be sent off in the World Cup when he was redcarded in a 0-0 draw with Morocco for throwing the ball at the referee. - Mexico's 1-1 draw with Paraguay in the group stages featured 55 fouls. The referee was England's George Courtney. - Uruguay's Jose Batista was sent off after just 55 seconds for hacking down Gordon Strachan in a 0-0 draw with Scotland. - Gary Lineker saved England's bacon by scoring a hat-trick in a 3-0 defeat of Poland that saw them edge into the second round. 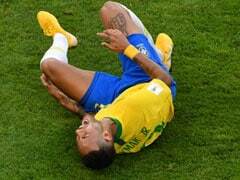 They had earlier lost 1-0 to Portugal, whose players threatened to go on strike just before the match over bonus payments. - On his 41st birthday Northern Ireland goalkeeper Pat Jennings gained his 119th international cap against Brazil, then a world record. After the game, won 3-0 by Brazil, Jennings announced his retirement. - Argentina's Marcelo Trobbiani made his one and only World Cup appearance as an 88th-minute substitute in the final against West Germany, equalling the record for the shortest World Cup career set by Tunisia's Khemais Labidi in 1978.